More than a litre of plastic has been found inside a turtle that washed up in Northland. The critically endangered Hawksbill Turtle was found near Mangonui in August. It was underweight and weak but had no external injuries. 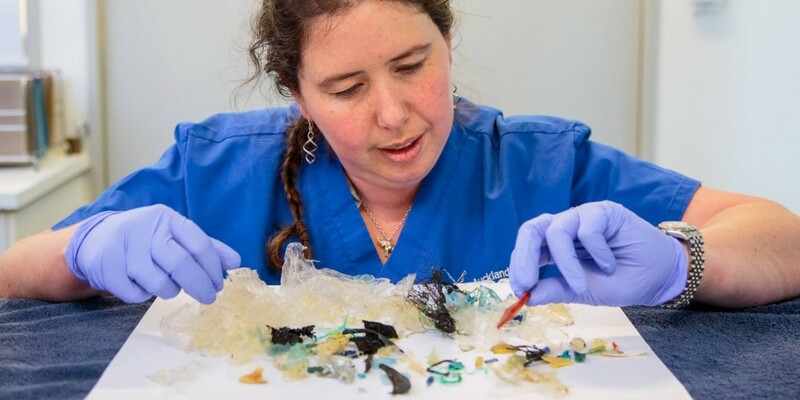 Auckland Zoo resident vet, Dr Lydia Uddstrom, says despite best efforts over 13 days of intensive care, the amount of plastic ingested meant that the turtle could not recover. Sadly after 13-days of intensive care, a critically endangered Hawksbill turtle that came into Auckland Zoo’s vet hospital with a huge amount of plastic in its intestines, has died. Dr Uddstrom says the ingestion of plastic was the sole cause of death for the turtle. “What’s most heartbreaking for me is that this was a turtle for which us as humans are very much the cause of death”, she said. I wrote a blog a while ago about the many problems facing sea turtles – (The Perfect Storm engulfing Sea Turtles). The death of this Hawksbill is just one of many thousands that will happen this year, and this one, like most, is totally man-made. This problem is only going to worsen. In the next 10 years we will produce more plastic than has been produced in all our history. Our ability to stem the flow of plastic production is almost non-existent. A few cities have managed to ban plastic bags in supermarkets, but that is a tiny drop in the ocean when you consider almost everything we buy these days has plastic packaging, wrapping, components, or accessories. Fruit is increasingly wrapped in plastic. People amazingly still release balloons full of helium. That we are dumb enough to still think balloons is a wise idea shows how ignorant the bulk of us are. Cars now come wrapped in plastic. Hay is packed in plastic rather than storing in a barn. EVERYTHING in the medical industry is wrapped in multiple plastics. People flying now get their bags wrapped in plastic for security. People increasingly consume drinks in plastic bottles. The building industry now has many materials wrapped in plastic. They also wrap houses and buildings in plastic while they work on them. Rather than stemming the flow of plastics, the flow is becoming a torrent.